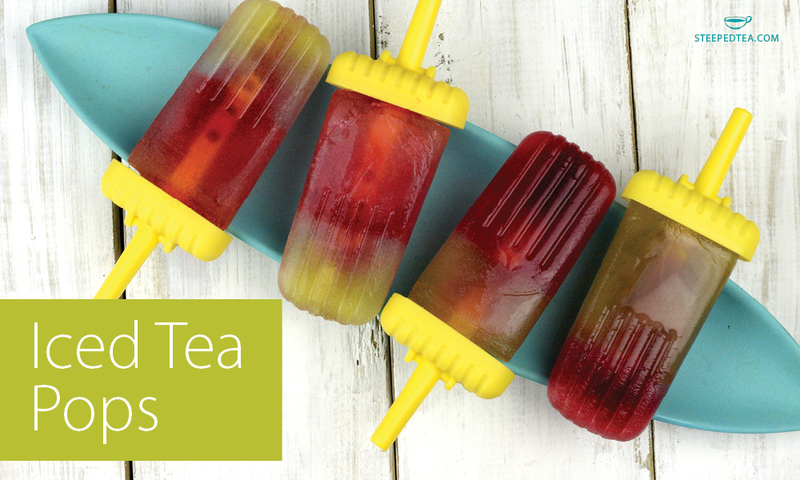 Make your own ice pops that are made with the goodness of tea! Dissolve 3 tbsp honey/simple syrup into both teas. Pour choice 2 tea into the mold only ¼ full and freeze for 2 hours. Pour choice 1 tea into molds to top and cap with ice pop handle. Freeze for 3 hours and enjoy!